Internationally acknowledged guitarist and instructor Troy Stetina offers a step-by-step breakdown of eight hard rock classics featuring some of rock’s greatest guitar moments. Learn the tricks, riffs, techniques and styles that make these eight songs some of the most instantly recognisable and best-loved guitar anthems ever recorded, with painstaking explanations and detailed discussions to help you get them mastered. Includes such legendary classics as Ozzy’s Bark At The Moon, Van Halen’s reworking of You Really Got Me, and the thunder of Judas Priest’s Living After Midnight. A good instructional DVD to learn the 8 songs included. Notice that this is not a structured guitar method. Troy’s one of the best instructors world wide. 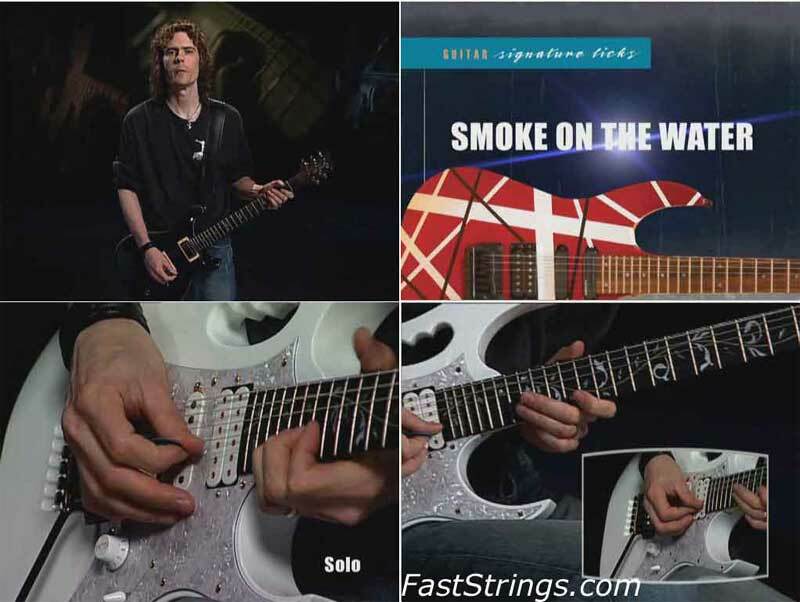 Rhythm & lead guitars are shown played slowly (note-for-note) and at normal speed. Troy also breaks down the songs teaching the techniques used in every riff or solo. It includes full backing band tracks of every song to play along rhythm & lead parts. There are songs from basic to intermediate/advanced level. Beginners can start with ‘Living After Midnight’ (very easy even the solo) and ‘Paranoid’.